Eight years on and the incredible ROA has returned to The Garage, this time for a month-long Salon Session residency. Working diligently over April 2018, ROA’s stay in Amsterdam has resulted in the creation of 5 new & unique works that, in staying true to his practice, depict fauna local to this part of the world. 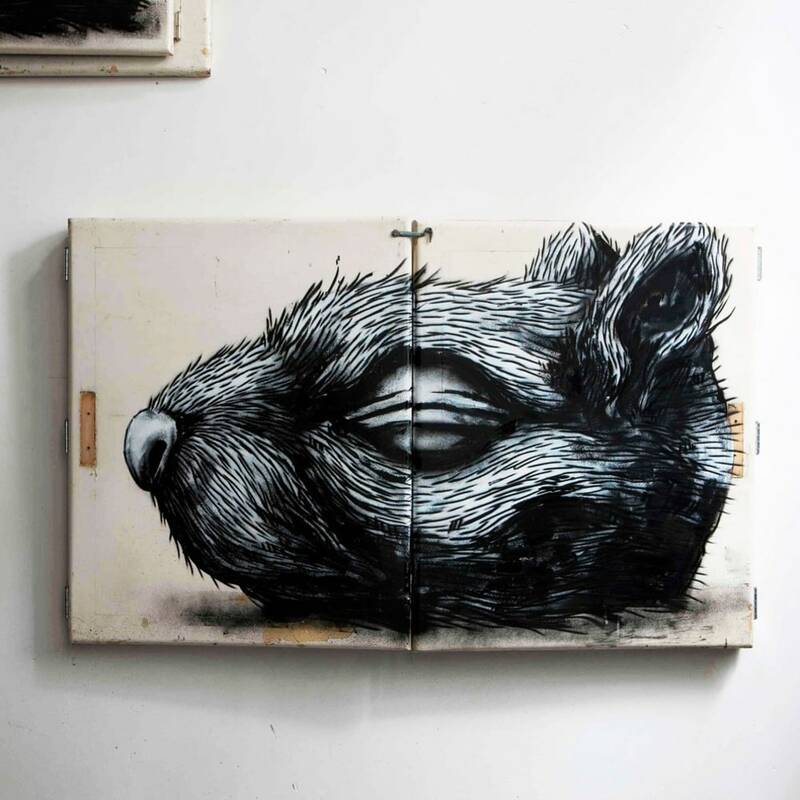 Continuing to develop his techniques, with constructions using hardwoods from Belgian Antiques coupled with super refined brushwork, ROA has created a beautiful body of work with incredible depth and warmth.